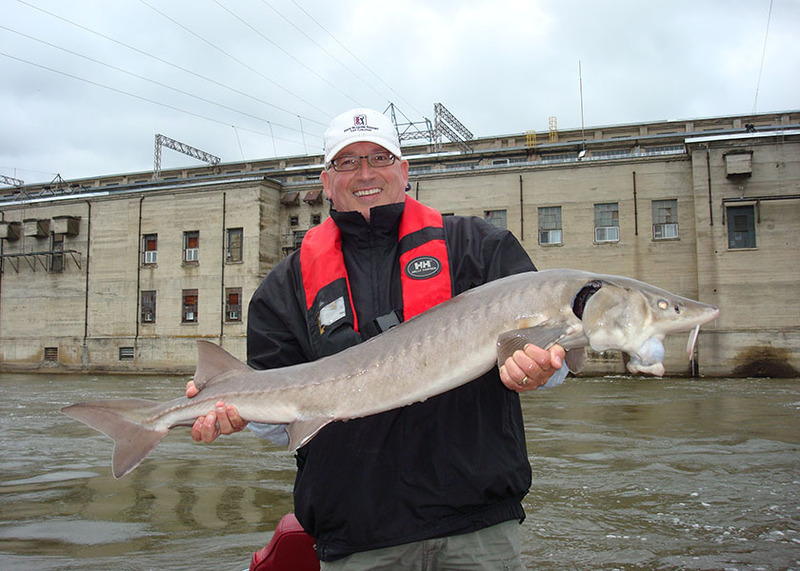 Trophy Walleye or Sturgeon fishing. Take your pick, they are both a blast. 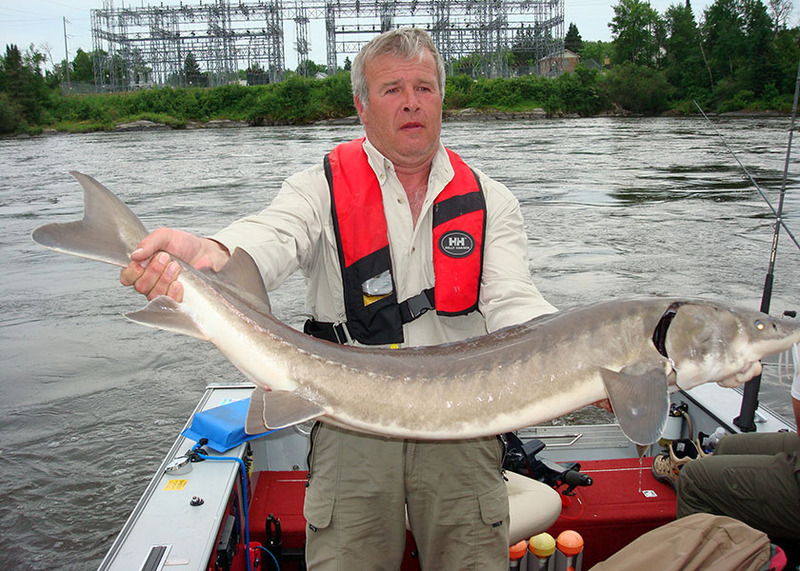 For Trophy Sturgeon fishing I take my guests to the Winnipeg River. People have nicknamed these not-so-gentle giants "Dino's" because they are so very prehistoric looking. This is excitement at its best! Doing battle with one of these beasts rivals a good weight workout at the gym. 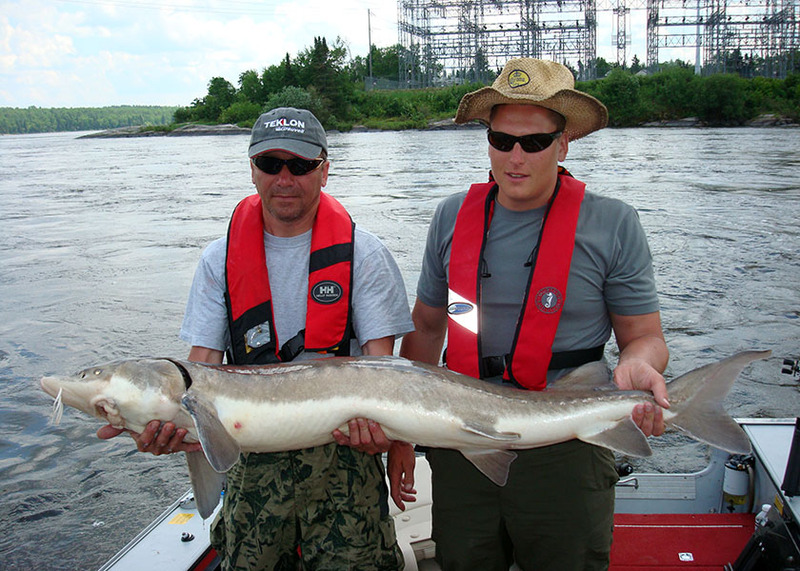 A Manitoba Master Angler status Sturgeon needs to be 43" or better in length. 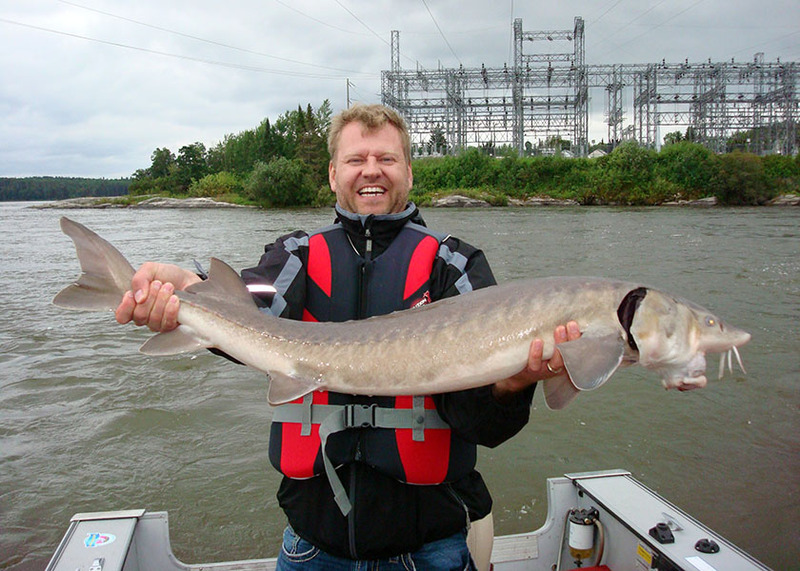 My guests have boated Sturgeon up to 54" and the odd runaway happens where you simply cannot stop a huge fish unless you are quick enough to chase it. Sound like fun? It's way more than fun!! These fish are currently a protected species and I do the utmost to ensure proper CPR techniques. Current studies show zero mortality from released fish and that will be our goal as much as catching them. 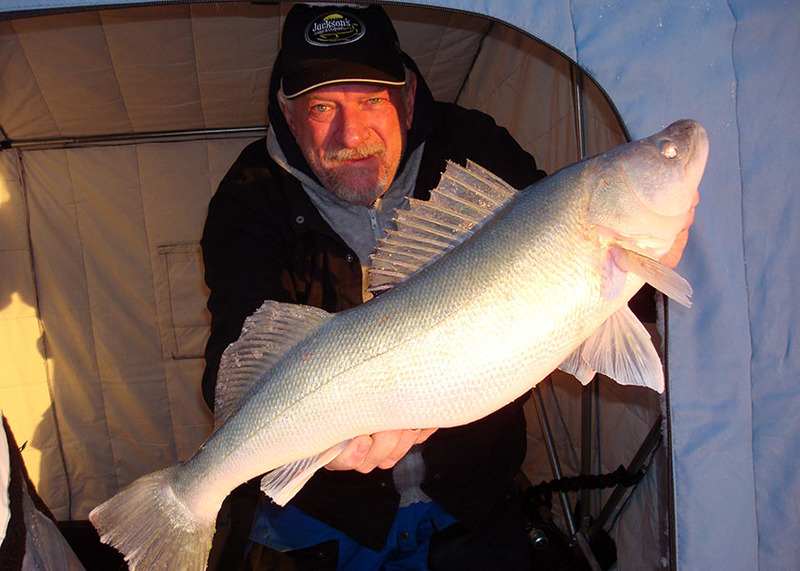 There's Walleyes and then there's "Greenback Walleyes"
For Trophy Walleye fishing I can take guests out for the fall "Greenback" run on the Red River for these migrating lake-run fish. 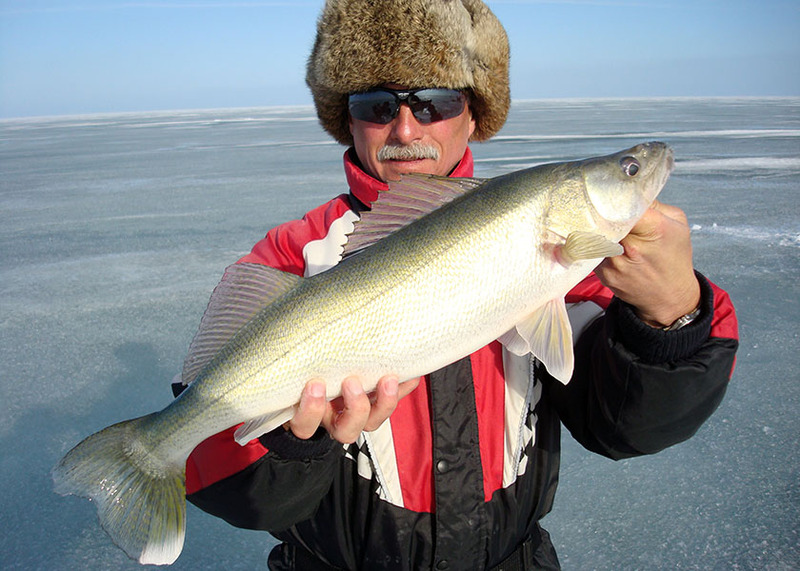 These walleyes start migrating up the Red River in late September and are caught through ice-up. Once ice-up occurs and ice thickness is adequate we will fish the Red River or out on the expanse of Lake Winnipeg itself. These Greenback Walleyes are extremely well fed and often look like they have dined on a football! They can be extremely aggressive at times and just hammer baits. Their weight will be about 25% higher than fish the same length from other waters. Their iridescent green color is quite unique and beautiful. 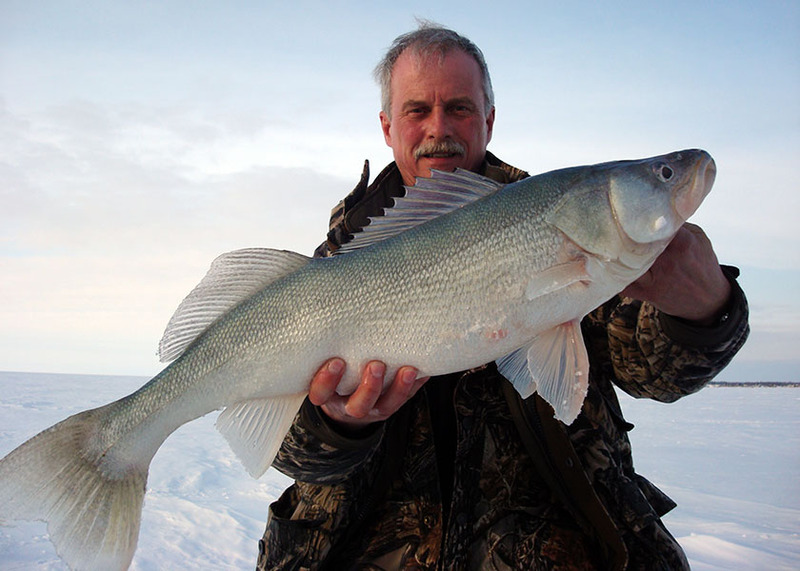 Manitoba Master Angler status Walleye need to be 28" or better in length and many fish from 26" to 30+" are caught every year. 20" to 23" fish are common. 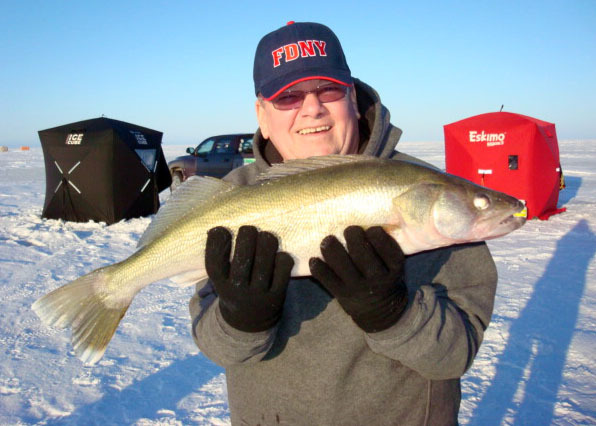 There is just nothing like watching the scenario of catching one of these huge "Greenbacks" play out on your flasher and watching a fish with a girth that rivals your hole in the ice come through it! Sound like fun? Come and experience it.